Temi Plast 4.0 is a tool conceived to facilitate production digitalization in companies that operate in the injection moulding sector. It has been developed by ICE Flex (Saronno, near Varese) and is the result of ongoing cooperation with the end users and Wittmann Battenfeld (IceFlex operates in close collaboration with the Italian branch of the Austrian injection moulding machine manufacturer). 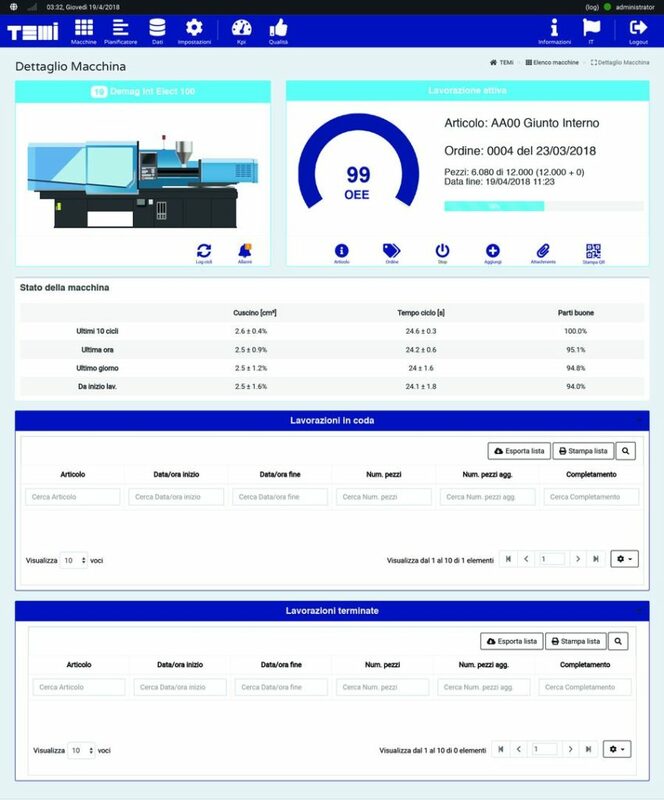 It is a MES (Manufacturing Execution System) designed to monitor all aspects of production, starting from the order input right up to the conclusion of the process, with the application of a printed label or QR code indicating the macro-characteristics of the finished product. The system also provides the processing data of each lot and each individual machine. The software, installed on a fanless server, is intuitive and easy to use thereby eliminating the need for any lengthy employee training. The system has been engineered to directly connect with the company LAN network, communicating with the machines via the TCP/IP protocol, thereby also considerably reducing the deployment costs. This means that the organization and processing of orders becomes quick and easy thanks to the fact the operating status of all the machines and their assigned processing operations is immediately available. 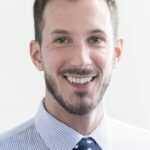 It is perhaps thanks to these features, as confirmed by the Giorgio Pigozzo, the director and co-founder of ICE Flex, that the system has proved so popular with plastics processors since its launch in the summer of 2017. Can you give us a profile of the kind of company to which this system is dedicated? The software has been developed in order to meet the challenge posed, especially in less structured companies, that while complying with the technical and legislative requirements of the Industry 4.0 national programme and intending to purchase the latest machinery, do not actually have a full-fledged IT infrastructure at their factory. So that our original intention was to target micro companies and SMEs in the plastics sector, further developing the system in order to be able to approach the more organized companies that operate on the international markets as well. It is with these latter companies in mind that we have developed Temi Data Collector, a system of communication with ERP systems and production management software that has proved particularly appealing to the larger sized companies forming a valid ally in their production planning procedures. 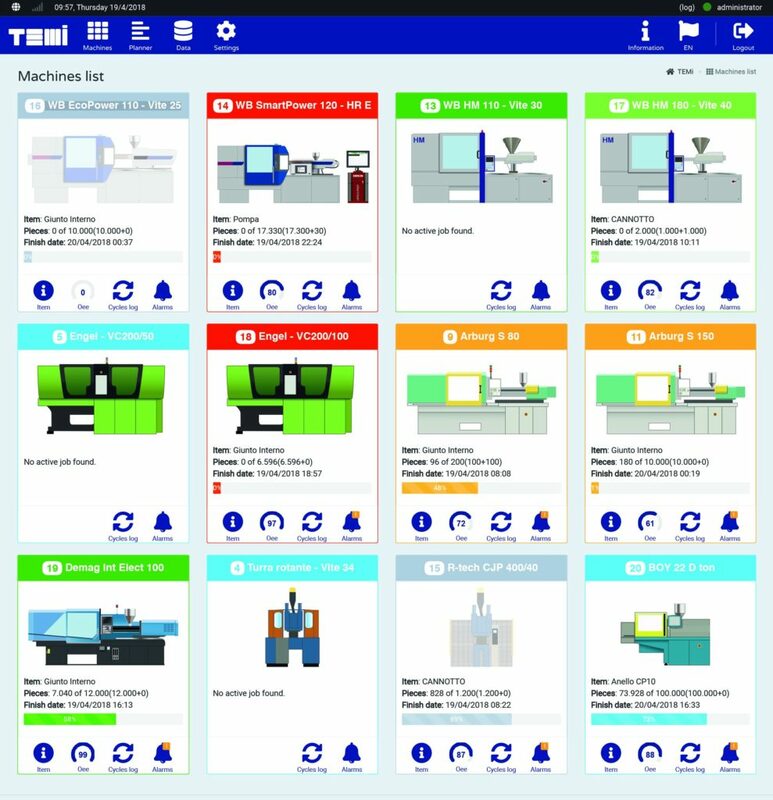 The upgrades that have been made to Temi, thanks to over a year of close collaboration with the users means that we are today able to offer it to a wide range of these kind of companies, ranging from the more organized that already have a management system, but that lack a supplier able to deploy it within the time frame as laid down by the Industry 4.0 programme, to those interested in benefiting from the tax benefits offered by the programme, down to those that are keen to take advantage of the fiscal advantages and to promote a structural change in company production methods. What are the other intrinsic features of the product? 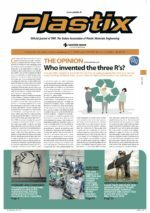 Above all, I believe that we need to mention the “paperless” project which allows the operator direct access to a wealth of information that up until now has only been on paper. So that it is possible to upload the processed product recipes, and to trace technical drawings with extreme ease, as well as quality control data and any other necessary details. It is also important to point out that in the event of an alarm condition each press managed by the Temi 4.0 is capable of sending an alert via sms, indicating the cause of the standstill. A further advantage, as I have already mentioned is the fact that it is possible to connect any kind of press to the system even the most dated. In order to make all this possible we have developed a self-powered “plug and play” system that can be immediately activated and which is competitively priced. The price factor also being a highly appealing feature. A year later … what upgrading has been done on the product? There have been many upgrades and we hope that upgrading operations will continue. We have introduced the quality package, which I mentioned earlier in relation to the issue of paperwork reduction, there have also been upgrades in terms of the alert system with alerts in the event of machine standstill, in order to make it easier to locate – on the touch screens in the actual production departments – the drawings, technical sheets and material sheets as well as all the other necessary production details. We shall shortly be sending all our customers that have purchased our assistance package, the latest graphic upgrade of the Temi Plast 4.0, which is even more intuitive and features various additional functions.